You’re right to be cynical about Mariners’ prospect development. Here’s why you might be wrong. There is added excitement surrounding the Seattle Mariners’ minor-league prospects these days, and Andy McKay certainly recognizes that. He’s excited, too. A flurry of winter trades — Goodbye, Cano; Hello, Kelenic — infused the Mariners’ farm system with the sort of high-end talent that largely has been missing in the organization the past five years. Now it’s up to McKay, and his bulked-up player-development staff, to steer that budding potential into major-league production. He’s confident it will happen. The Mariners’ farm system, according to Baseball America, ranked as MLB’s worst in 2018. It would have again ranked near the bottom this year if not for an overhaul of the major-league roster that brought in a new crop of young talent, including pitcher Justus Sheffield and outfielder Jarred Kelenic, generally considered to be among the top 50 prospects in baseball. Entering this season, Baseball America ranked the Mariners’ system No. 14 in MLB, its highest since 2013. Now those new prospects are going — and, the Mariners hope, growing — through a system designed with a “holistic” tilt to player development. If there is, in some circles, a sense of cynicism about the Mariners’ ability to develop prospects, well, it’s a hard-earned cynicism. 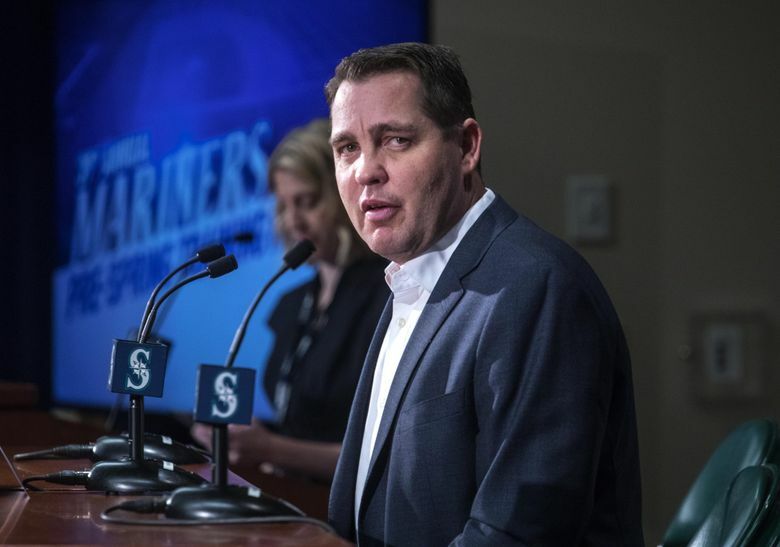 It wasn’t that long ago that the likes of Dustin Ackley, Justin Smoak, Jesus Montero and Mike Zunino — high draft picks or highly touted prospects acquired in major trades — were being billed as the next big nucleus in Seattle. The Mariners also struck out with their first-round picks in 2011 (Danny Hultzen), 2013 (D.J. Peterson) and 2014 (Alex Jackson). For various reasons, none worked out as well as the Mariners, and their fans, had hoped. That earlier wave of prospects came up under a different regime, but the reality is pinning a future on young — and often volatile — talent is never fool-proof. Since taking over as Seattle’s GM in September 2015, Dipoto has made more trades than anyone in baseball. Callis liked most of the Mariners’ moves this winter but is taking a wait-and-see approach with the overall direction of Seattle’s farm system. Callis is high on the position players in the Mariners’ system, especially so on Kelenic, the 19-year-old center fielder acquired from the Mets in the Robinson Cano-Edwin Diaz deal. “Jarred Kelenic has a chance to be a really special bat,” he said. He also likes the potential of first baseman Evan White and outfielder Kyle Lewis, and said 18-year-old outfielder Julio Rodriguez “has a ceiling through the roof.” White and Lewis opened this season as teammates at Double-A Arkansas; Kelenic and Rodriguez are teammates at Low-A West Virginia. Page 10 of the Mariners’ Player Development manual describes the organization’s “holistic style of personal and professional development” by using a NASCAR metaphor. Players, in this example, are the race car. Managers and coaches are the car’s drivers. Those managers and coaches are tasked with gauging dials on the car’s dashboard “to optimize each player for improved performance.” Those dashboard dials include features related to players’ on- and off-field wellness; skill development; analytical profile; and personality makeup. Gauging those areas falls to the small army of managers, coaches, trainers and analysts who make up the player-development and high-performance departments — about 100 staffers in all. McKay sees each of their roles all as equally important in the growth of well-rounded prospects. There has been significant turnover in those departments the past four years. “We have Ph.D’s working here now,” said McKay, who holds a master’s degree in organizational behavior. “We’ve hired a lot of upside, unique skill sets. If you believe there are a number of different ways to develop those players, you have to provide those services. Is a nutritionist more important than a hitting coach? For some people, yes. Is a strength coach more important than a pitching coach? In some cases, yes. One addition that did not work out was the 2017 hiring of Lorena Martin as the team’s director of high performance. Martin and the Mariners are in an ongoing legal dispute over her firing in November, after she accused the Mariners of gender and racial discrimination. The Mariners denied Martin’s allegations. At the Mariners’ spring-training headquarters in Peoria, Ariz., minor-leaguers began each morning with a yoga session and meditation. They took cooking classes together and, indeed, McKay said “togetherness” is the general theme of those ideas that continue at each of the organization’s seven affiliates, from Everett to the Dominican Republic. The Mariners have also invested heavily in analytics. That hardly makes them unique among major-league clubs, but it is made clear to Mariners’ young hitters that “exit velocity” and “launch angle” are top priorities. After each game in the minors, those hitters are given a printout that shows each pitch that was throw to them during that game and breaks down their “swing decisions” — all with the aim of furthering the Mariners’ organization-wide goal of controlling the strike zone, which applies to both hitters and pitchers.